Japan’s National Institute of Information and Communications Technology (NICT) recently held its annual business plan presentation event for college and university students. 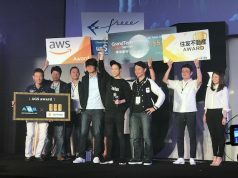 It’s called Kigyouka Koshien, which literally means ‘entrepreneur championship.’ The event took place at an CyberAgent Ventures’ Startup Basecamp this past Thursday. NICT provides mentoring to students who have a passion for entrepreneurship. 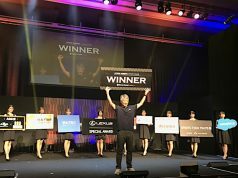 At the Thursday event, nine finalists from different regions came together in Tokyo, all hoping to walk away with the championship. Here’s a quick run down of what the participating teams are working on. Most of us wish we could spend more time with our parents, or perhaps we regret not seeing them as often as we’d like. 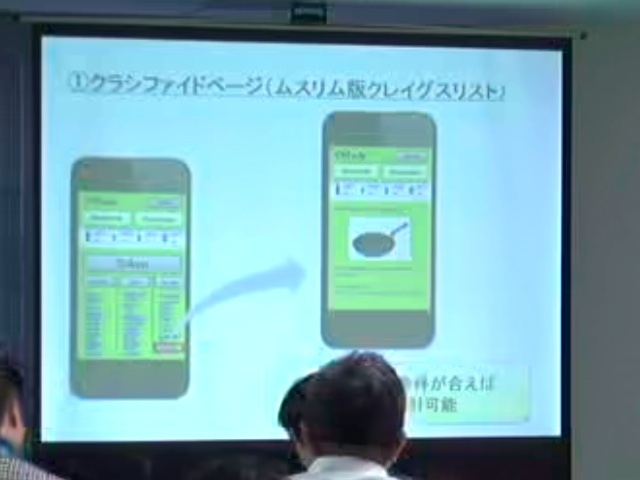 Presented by students from Kansei Gakuin University and Kobe University, Re-ja is a mobile app that uses gamification to encourage people to talk more with parents. The app presents the same quiz questions to you and your parent, and if you both answer correctly, you will get a reward point that can be used to buy something for them. Japan is said to have more than 20 million smokers. Moku Tomo is an app that lets them to find a smoking area nearby using a handy map. 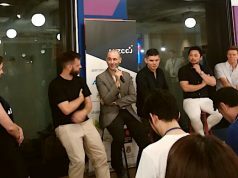 The business model is based on sponsorships from cigarette companies, from pharmaceutical companies selling nicotine patches, and from restaurants which have such smoking areas. The presenters, from Doshisha University in Kyoto, are now in talks with Japan Tobacco and British Tobacco. Shingo Aida (of Aizu University in Fukushima) has developed an iOS app that acts as an alternative to seat posture measurement instruments. Such instruments are used to prevent those with mobility problems from developing posture issues or sores by ensuring the wheelchair is adjusted specifically for their body size and shape. An instrument of this kind helps people live better but is very costly. So Shingo has developed this app which is much cheaper. The target market is comprised of about 10,000 people in Japan and 80,000 more in the US. When we hire a private teacher for our son or daughter, the biggest problem is usually that the quality of the lectures is very much dependent on who you hire. Tamiko Iwama (of Digital Hollywood University) wants to standardize the quality of the lectures by providing tutors with a web-based knowledge sharing platform. Learning materials and slides can be stored on the platform, and tutors can download them via the dashboard and customize their own lectures. It’s often said that learning to reading code is like mastering a new language. But it’s not always easy since other people’s code could be written or structured far differently than what you might envision. And physical books for programming languages can be very costly and bulky. 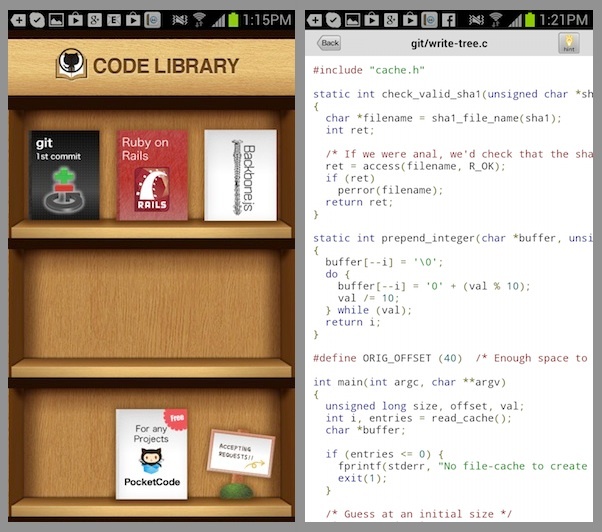 Code Library is a smartphone app that allow users to receive a lecture regardless of time and location. As part of its testing, Hamhei Horiuchi (of Tokyo’s University of Electrocommunications) has introduced a beta app called Code Library Lite, which will enable him to receive lots of feedback from programmers so he can refine the service. A ‘Gakushoku’ is a cafeteria at a university which typically offers decent foods at affordable prices. For students who usually have little or no income, expenses for lunch at the cafeteria can account for most of their spending. That’s why this Chuo University team has come up with the idea of giving students a chance to win a complimentary meal. A QR code is printed on the back of a meal ticket, and a student can then scan it with his smartphone and watch ads while he waits for the meal. The team receives revenue from advertisers and pay a commission to cafeteria owners participating in the program. The world’s Muslim community has huge market potential with a population of 1.6 billion people. A team from Yokohama National University hopes to found a sort of Craiglist for Muslims, in order to bridge Muslim communities around the world and here in Japan too. To refine the idea, the team has enlisted feedback from the folks at the Saudi Arabian Embassy and mosques in Tokyo. In partnership with Japanese travel agencies, C@ndy expects to provide information on travel packages for Muslim people, offer Japanese dishes made from Halal foods, and provide venues for praying during the trip. Perler beads (or Hama beads) are a popular craft for children. But it’s difficult to build an original design on aa peg board. This team from Yonago National College of Technology hopes to produce a system that lets children create their own designs from their favorite pictures on an iPad. They plan to speak with Kawada Co., Ltd., a local distributor of Perler beads in Japan, to explore the monetization potential of this idea. Elderly people in Japan (and in Okinawa, where this team originates) are eager to use digital devices to browse the web, but in many cases they can’t. In order to bridge this digital divide, the team has developed an app that lets elderly to browse news and updates from social media and blog on an iPad in a way that reflects the newspaper experience. Instead of searching a keyword to look for a specific topic, all you have to do is place your hand over an interesting story on your physical newspaper, just in front of the iPad camera. The app will detect which story you are interested in, and then collect updates from the blogsphere, showing them to you if they were a from a physical newspaper.